Just like its predecessor, the new CLA looks a lot like the CLS. It’s not a shrunken CLS though, as it also blends features seen on the A-Class as well as a few unique styling cues. While the diamond-block grille with the central star is shared with other Mercedes-Benz models, the headlamps are unique. 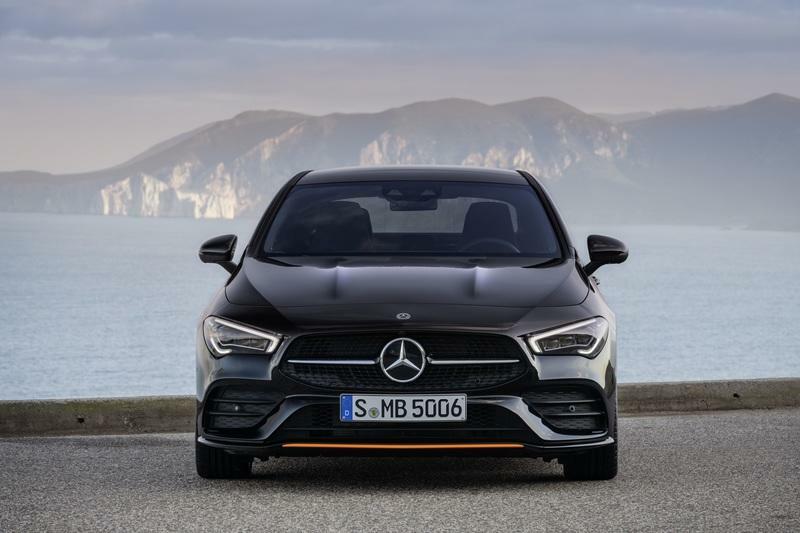 Although they have the same elongated and slightly swept-back shape like on the A-Class and CLS, they look a bit more organic thanks to a new extension in the lower and outer corner. By contrast, the A-Class and CLS have sharper lights with a straight lower section. The front bumper, on the other hand, is shared with the aforementioned models. We can see the same A-shaped center section with arms that extend toward the lower corners of the bumper, large side vents with two winglets each, and a sporty splitter at the bottom. The hood comes from the A-Class. It has the same shape, as well as the two power domes on each side of the center line. The CLS has a smoother lid for a more elegant look. 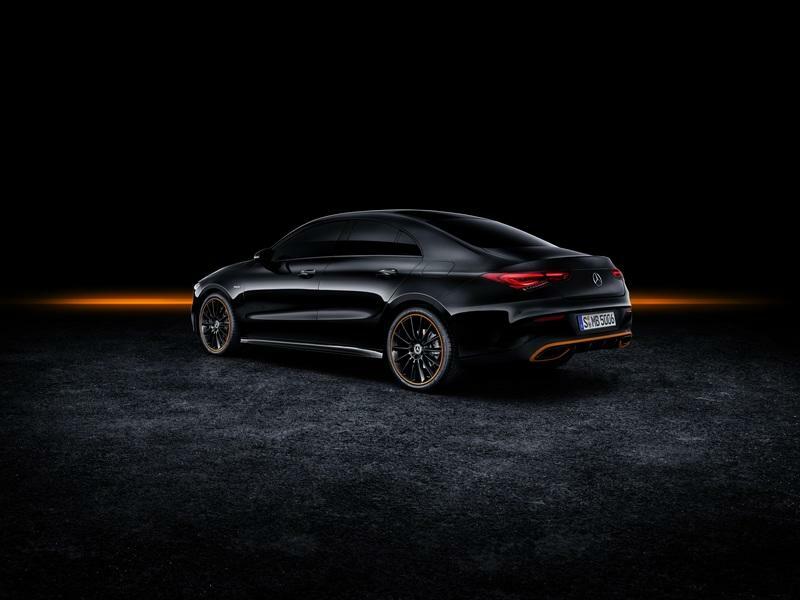 It’s onto the sides where the CLA looks like a shrunken CLS. 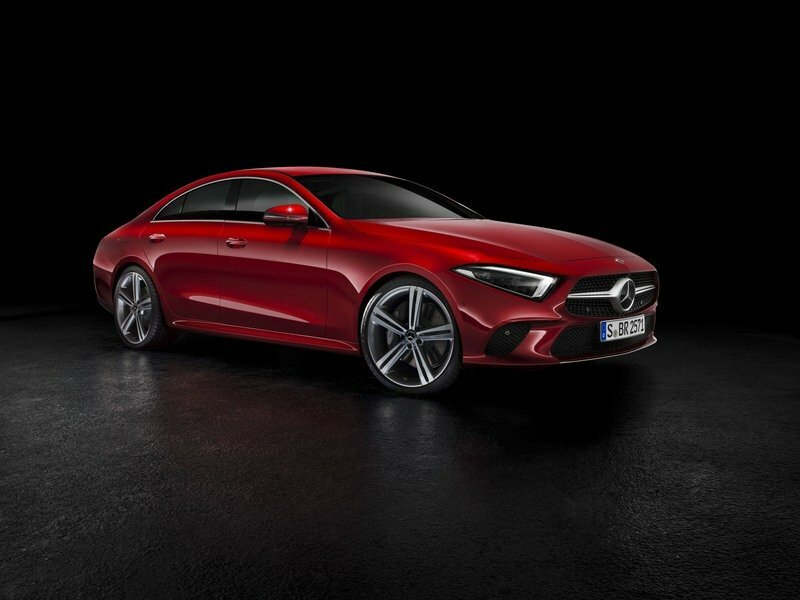 The side skirts, the doors, and the coupe-style roof are all similar to the CLS, but everything is shorter, so the CLA feels bulkier. Despite this, it remains sporty thanks to the high beltline that arches just under the side windows, the frameless doors, and the fact that the cabin was moved farther toward the back compared to the old model. 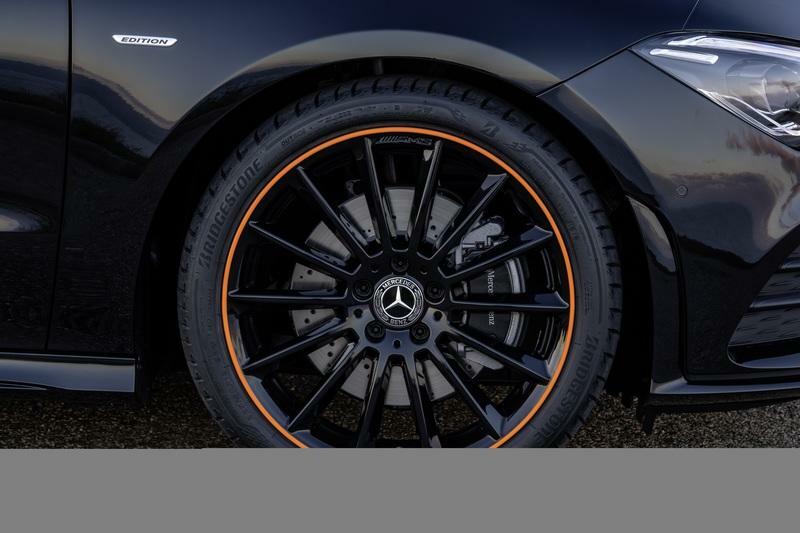 As usual, Mercedes-Benz offers a wide selection of wheels, some similar to the A-Class. The standard rollers measure 18 inches, but you can grab bigger, 19-inch rims off the options list. Around back, the CLA bears a closer resemblance to the CLS rather than the A-Class. That’s mostly because the license plate recess is located in the bumper and not on the trunk lid, like on the smaller A-Class. The spoiler and the diffuser-like element are also a bit more aggressive, like on the CLS. The remaining features, on the other hand, are shared with the other sedans, with minor changes. 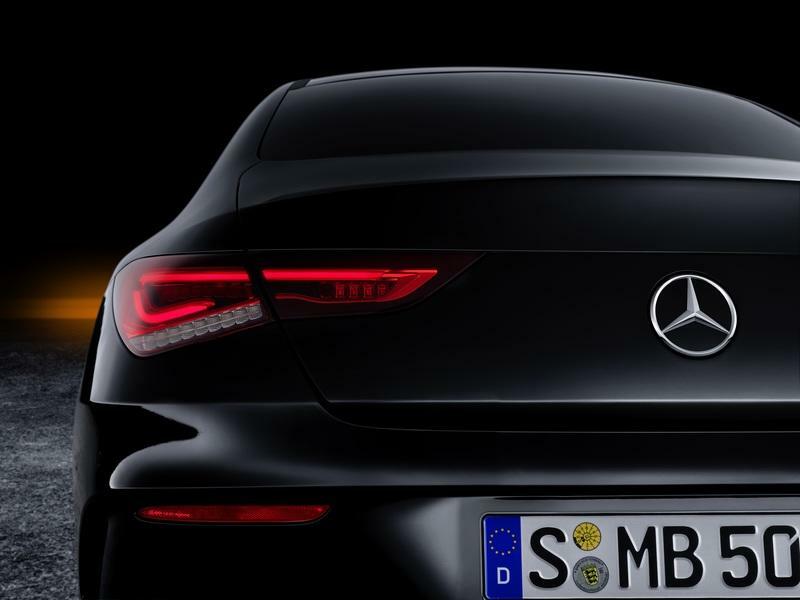 The two-piece taillights, for instance, are narrower on the trunk lid like on the CLS, but bigger on the fenders, like on the A-Class. They have a unique shape though, just like the headlamps. Size-wise, the CLA is a tad bigger than its predecessor. The four-door coupe is 1.9 inches longer and two inches wider, while the wheelbase is only 1.1 inches longer. Overall, Mercedes-Benz did a great job redesigning the CLA. Not only it borrows some sporty and elegant features from the bigger CLS, but it also employs a few unique styling cues. It looks better from every angle and fits nicely into the lineup. 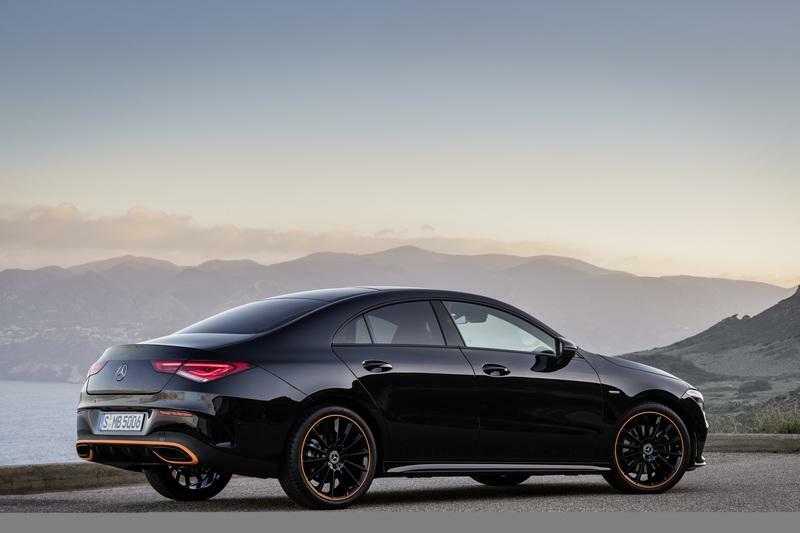 While the exterior brings together features from the A-Class, the CLS, and a few unique touches, the cabin is virtually identical to the A-Class. But this is good news, as the latest A-Class is by far the most appealing and technologically advanced vehicle in its class. The subcompact sets a new standard on the market, and the CLA does the same compared to its rivals. Although unique to the subcompact class, this cabin layout borrows some features from the bigger Mercedes-Benz models. The dashboard, the center stack with its three A/C vents, the instrument cluster, and the infotainment display are all similar to those seen in the E-Class and S-Class. The dashboard features a two-tier design, with the horizontal sections separated by metal trim. 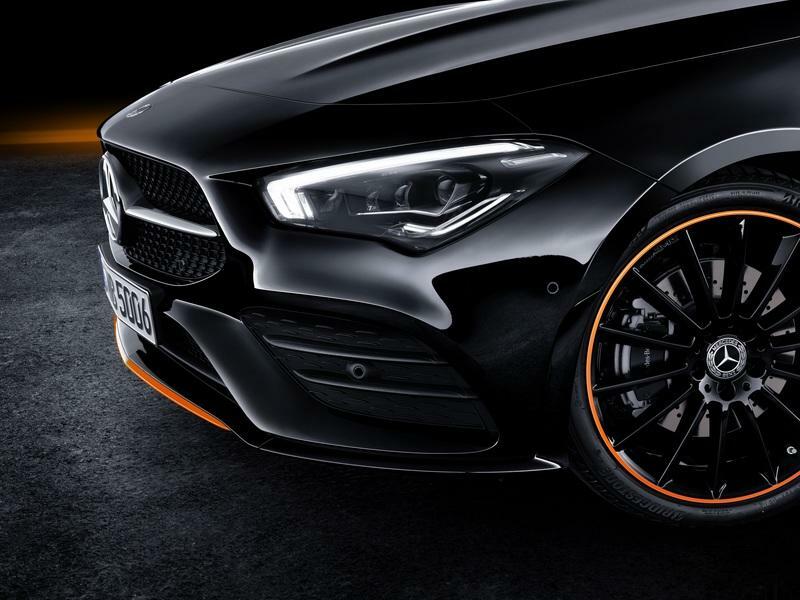 The round A/C vents at the corners and on the center stack sport the familiar "turbine" design seen on almost all Mercs, including the AMG GT sports car. Just like in A-Class and other models, the instrument cluster and the infotainment display are set next to each other and look like a really long screen that stretches over half of the dashboard’s length. 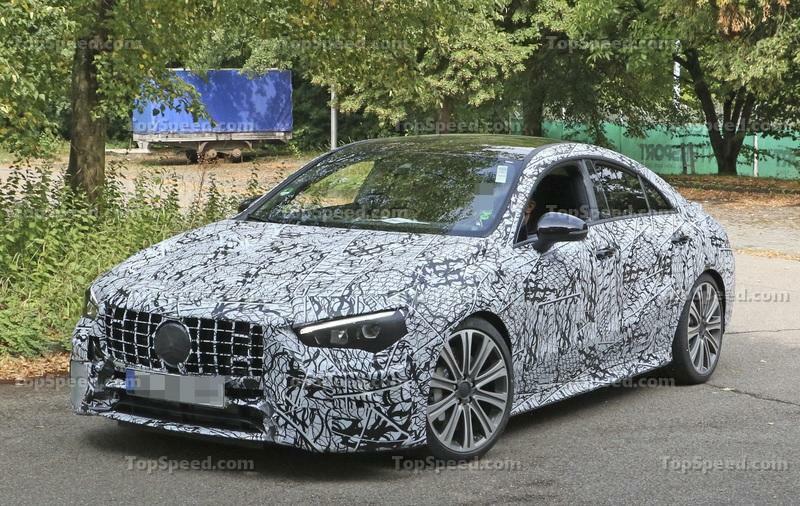 However, the unit is missing the hood on top, seen on the CLS and other large Mercs. The example shown here features the big 10.25 displays, which are only available on the more expensive trims. The entry-level versions come with smaller screens, but they’re still competitive. The CLA also borrows the A-Class’ state-of-the-art ambient lighting system with 64 colors. It features ten configurations, called "color worlds," allowing a complex lighting display. Another big highlight is Mercedes’ latest infotainment system, called MBUX, short for Mercedes-Benz User Experience. It features artificial intelligence that has the ability to learn and it can be customized and adapted to suit every user. It also includes augmented reality technology, through which you can operate the media display and the navigation system once you activate it using the code "Hey Mercedes." As far as passenger space goes, the new CLA offers a bit of extra room in all departments, but the difference is mostly negligible. Front-row headroom increased by less than an inch to 40.3 inches, while rear headroom is basically the same at 35.7 inches. Legroom remained unchanged at almost 42 inches in the front and almost 34 inches in the rear. Elbow room increased by 1.4 inches in the front and 1.7 inches in the rear, while shoulder room remained almost the same in the front row and increased by almost an inch in the second row. 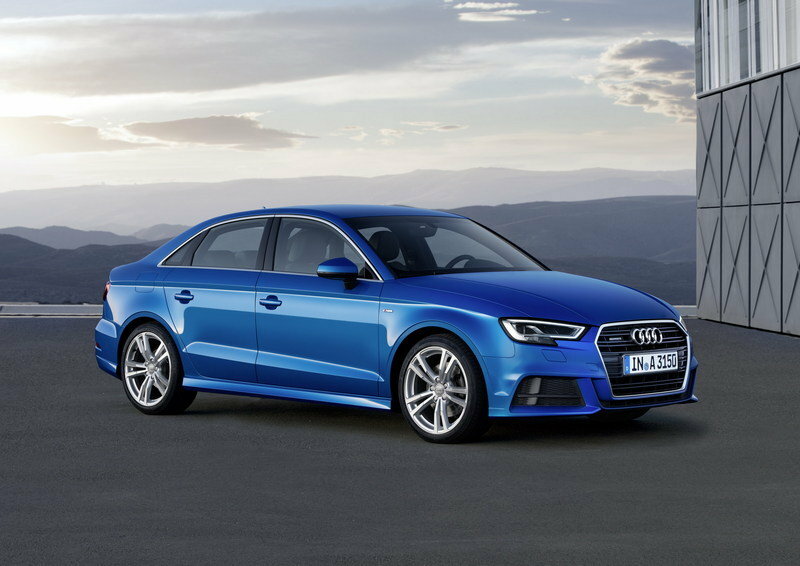 How does it compare to its main rival, the Audi A3? Well, the CLA clearly wins the front headroom battle, offering almost four inches more than the A3. However, Audi benefits from an extra half-inch in the rear. The same goes for legroom. The Merc comes with an extra 0.6 inches in the front, but the A3 offers an extra 1.2 inches in the rear. There is more shoulder room in the CLA in both rows though, with the rear compartment offering an extra inch. Interestingly enough, the CLA holds its own against slightly larger sedan like the BMW 3 Series. Despite being bigger, the 3 Series isn’t notably more spacious inside the cabin. Actually, the CLA offers an extra 1.6 inches of headroom in the front, while its legroom and shoulder room measurements aren’t far behind. Moving over to cargo space, the new CLA has a slightly smaller trunk than its predecessor. Now rated at 16.2 cubic feet, the CLA lost almost 0.4 cubic feet. 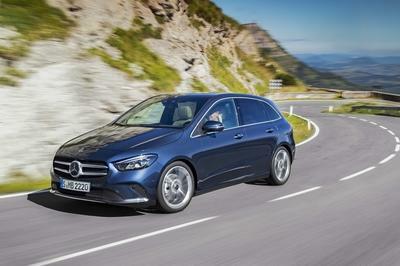 Fortunately for Mercedes, the CLA remains roomier than the Audi A3, which offers only 12.3 cubic feet. The CLA is also really close to the BMW 3 Series, which can take up to 17.3 cubic feet of luggage. Gasoline-only drivetrain in the U.S. The CLA debuted in 250 trim, featuring the familiar 2.0-liter four-cylinder engine that Mercedes is offering in quite a few cars. Still related to the old model, the engine was updated for the new generation and cranks out 221 horsepower and 258 pound-feet of torque. While torque remains unchanged, the new mill generates an extra 13 horsepower. At the same time, it pumps an extra 33 horses and 37 pound-feet when compared to the same unit in the A-Class. The turbocharged four-banger mates to a revised seven-speed dual-clutch automatic transmission and its available with the 4Matic all-wheel-drive system. Output-wise, it’s on par with the competition. While the base Audi A3 falls behind at 184 horsepower and 222 pound-feet, the 45 TFSI version comes with only an extra seven horsepower and identical torque figures. The CLA won’t keep up with the 330i trim of the BMW 3 Series, which delivers 255 horsepower and 295 pound-feet of torque. Hopefully the new CLA will be quicker to 60 mph. The old model gets there in 6.8 seconds, more than a second slower than the Audi A3. Mercedes updated the platform too. The big news is that the track are wider now, with an extra 2.5 inches added in the front and an extra 2.2 inches added in the rear. 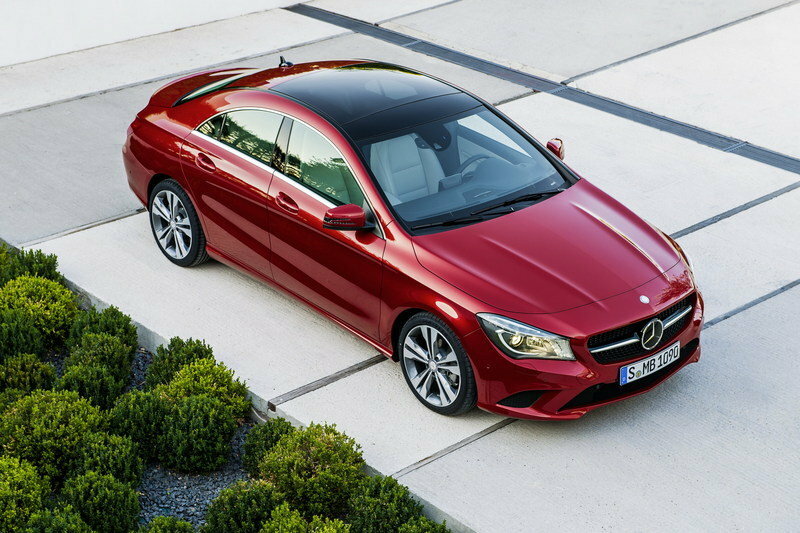 The new CLA also has a lower center of gravity, which enhances the four-door coupe’s dynamics. The standard suspension setup includes a decoupled multi-link axle in the rear, a Direct-Steer system, hydromounts in the front, and a stabilizer bar with a larger diameter for reduced body roll. It’s pretty much identical to the A-Class, but tweaked to better suit the longer body. You can also order an optional active damping suspension that will enable you to switch between comfort or sporty tunings. Safety features come from the latest A-Class, which is packed with state-of-the-art technology taken from the S-Class. The package includes the semi-autonomous system, which keeps a close eye on the traffic thanks to a camera and radat system that sees up to 0.3 miles ahead. It also uses map and navigation data for assistance functions, while Active Distance Assist Distronic helps you in numerous route-specific situations, while also adjusting the speed when approaching bends or roundabouts. Features like Active Emergency Stop Assist, Active Lane Change Assist, and Active Brake Assist come standard. The latter helps reduce or prevent rear-end collisions with slower-moving, stopping or stationary vehicles ahead and with crossing pedestrians and cyclists, or prevent them altogether. Pre-Safe Plus, usually offered on the bigger Mercs, has the ability to recognize an imminent rear-end collision with a vehicle coming from behind. Moving over to passive safety features, it comes with three-point seat belts with belt force limiter and belt tensioner in the front, driver and front passenger airbags, a driver’s kneebag and windowbags as standard. Thorax-pelvis sidebags are standard in the front and available as optional equipment for the rear passenger compartment. Pricing for the new CLA is not yet available, but it shouldn’t cost a lot more than the outgoing model. The old CLA retails from $33,100 with front-wheel drive and from $35,100 with the 4Matic AWD system included. Expect the new four-door coupe to fetch around $34,000 before options. This sticker will make it a tad more expensive than base Audi A3 Sedan, priced from $32,500, but on par with the more powerful 45 TFSI trim, which retails from $35,600. 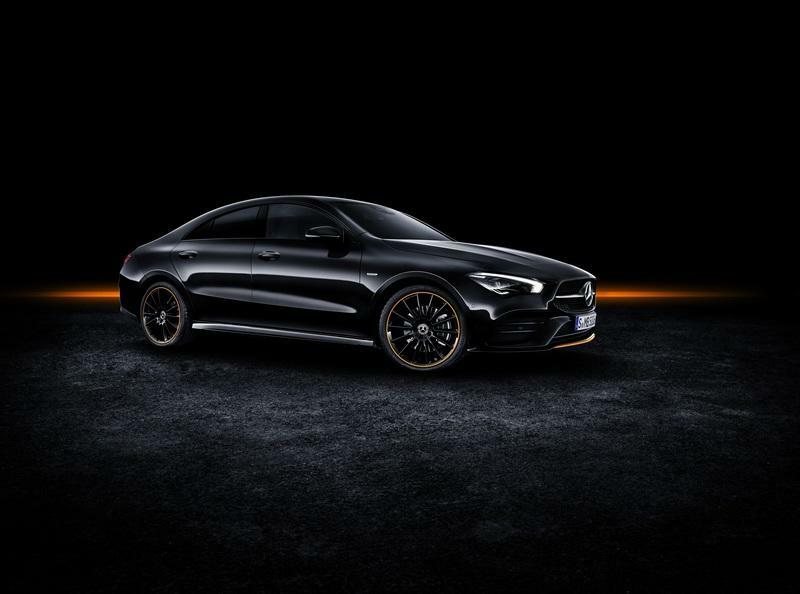 The A3 is the only true competitor for the Mercedes-Benz CLA. With the 1 Series Sedan not available in the U.S. (or Europe) and the four-door 2 Series still underway, the A3 is the only premium, German car you can cross-shop with the CLA in terms of size and features. The issue here is that the A3 is a bit long in the tooth, having been on the market since 2012. The good news is that it doesn’t look dated. Sure, it’s not exactly a four-door coupe, it’s more of a small sedan, but it looks sporty, and it can be equipped with loads of features that make it look aggressive. Inside the cabin, however, the A3 Sedan looks a bit old and it doesn’t have the premium features you get with the new CLA. Semi-autonomous capability is out of the question, but you get some nice premium features like leather, Alcantara, and the Bang & Olufsen the audio system from the options list. 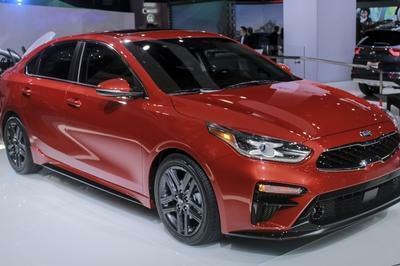 The base model comes with a 2.0-liter four-cylinder engine rated at 184 horsepower and 222 pound-feet of torque. That’s notably less than the CLA250, but Audi also offers a more powerful version of the four-banger, good for 228 horsepower and 258 pound-feet. This model hits 60 mph in an impressive 5.4 seconds, topping out at 130 mph. 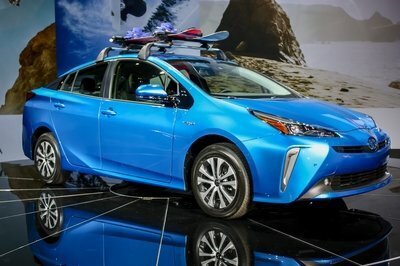 The base model comes in at $32,500, but the more powerful variant is similarly priced at $35,600 before options. Read our full review on the 2018 Audi A3. With no subcompact sedan from BMW available in the U.S., the 3 Series is the closest Bimmer you can get. 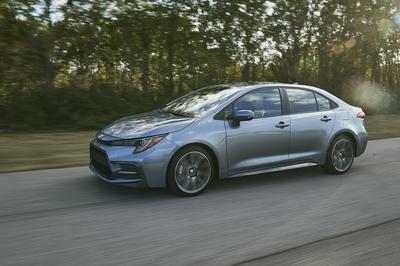 Fortunately, the compact was redesigned for the 2019 model year, and its sleek profile makes it look almost like a four-door coupe. Although it competes in a different segment, the 3 Series is only marginally larger than the CLA. That’s because the CLA falls between the A-Class Sedan and the C-Class, the latter being the Bimmers main competitor. Specifically, the 3 Series is less than an inch longer, only sightly higher, and equally. 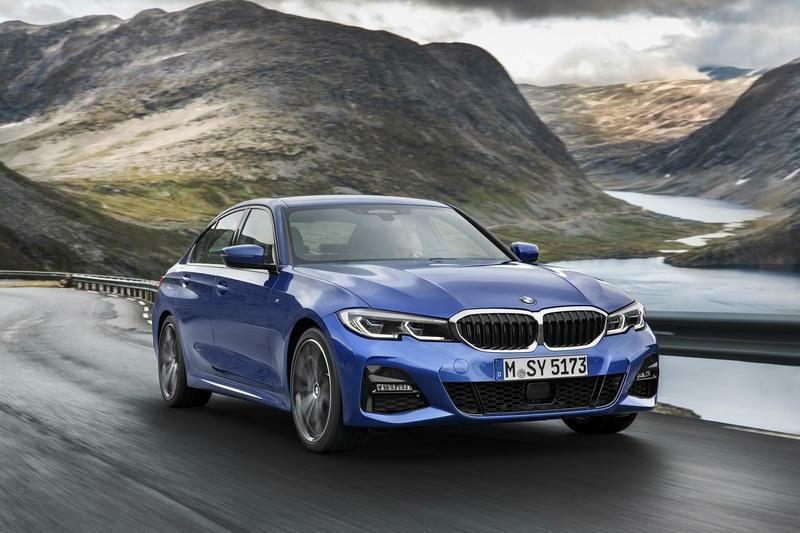 A bigger difference lies in the wheelbase, as the 3 Series’ is almost five inches longer. The similarities carry over inside the cabin. The 3 Series offers more headroom in the rear, but has less in the front. It offers more legroom both front and rear, but the difference is marginal. It has a slightly bigger trunk too. Drivetrain-wise, the 330i trim is similar to the CLA250. It also features a turbocharged, 2.0-liter four-cylinder, but it’s notably more powerful at 255 horsepower and 295 pound-feet of torque. The sprint to 60 mph takes 5.6 seconds. It’s significantly more expensive though, coming in at $40,250 with FWD and at $42,250 with AWD. The CLA has been a big hit ever since it hit U.S. dealerships for the 2014 model year. Although it was controversial at first due to its front-wheel platfrom and four-cylinder engine lineup, it gathered a solid fan base thanks to its affordable base price, good fuel economy, and coupe-like handling. 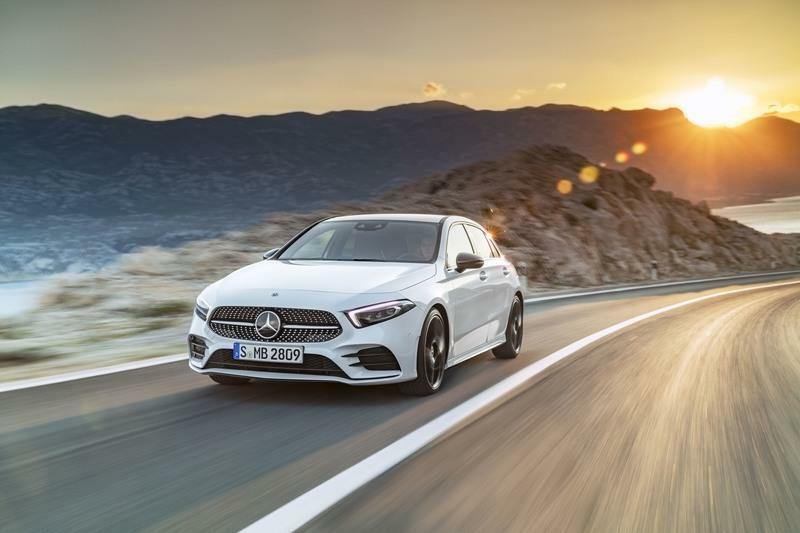 It also brought younger customers in Mercedes-Benz showrooms, with the Germans claiming that CLA customers are around 10 years younger than the typical buyer for the German brand. What’s more, more than two-thirds of CLA buyers in the U.S. came from competing brands, a big success for Mercedes-Benz. 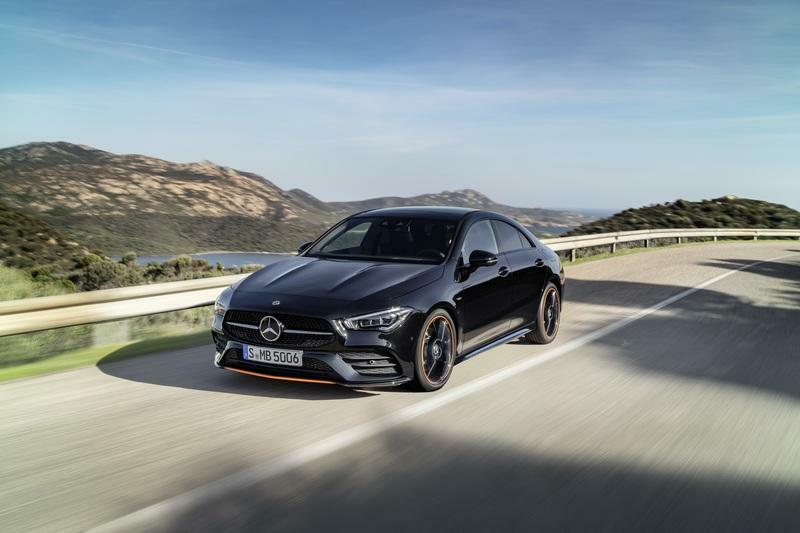 This redesign builds on the CLA’s solid performance on the market with a fresh design, a fantastic interior, the best technology available, and a more powerful engine. Until Audi comes up with a new A3 Sedan and BMW launches a proper competitor, the CLA has this market for itself. 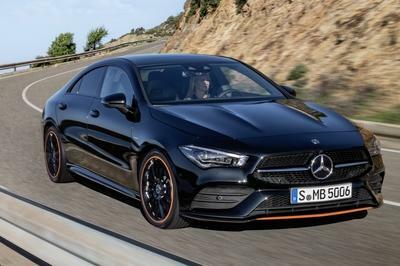 Read our full review on the 2019 Mercedes-Benz CLS. Update 07/25/2018: The Mercedes CLA has finally dropped some of its camo and was found playing on the Nurburgring. There’s still some time before it makes its debut but check out the spy shots section below to see the latest developments.